Grillo pops up in big-budget Hollywood fare like Captain America: Civil War and a few other places in the MCU (not to mention Wolf Warrior 2, which made $870 million dollars this year), but it’s films like Wheelman and its ilk where he hits his stride. This concept is pulled straight out of minimalist low-budget 1970s outlaw car movies. (The Purge: Anarchy falls in similar territory.) After a robbery gone wrong, a nameless getaway driver finds himself in a high-speed drive for his life, and the life of his family. We’ve got life-or-death stakes, a ticking clock, and most importantly, car chases galore. Wheelman played at Fantastic Fest recently, and a few people whose opinion I trust on this type of movie sang its praises, so I’m all in. Co-starring Garret Dillahunt, Shea Whigham, and Wendy Moniz, Jeremy Rush wrote and directed the film. Joe Carnahan produced, which, given the gritty action, feels appropriate. 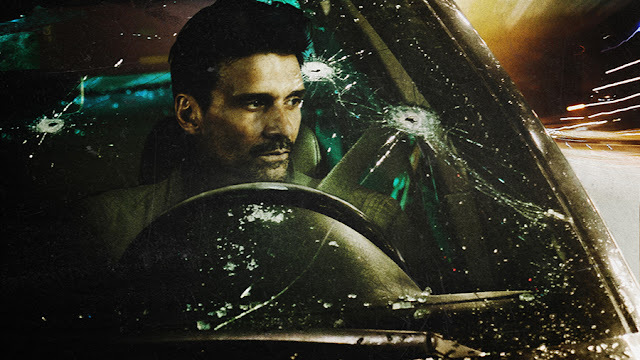 Netflix will release Wheelman on October 20. You know what to do. Between this and Beyond Skyline, there’s a lot of Frank Grillo coming our way, and that’s just fine and dandy from where I sit.